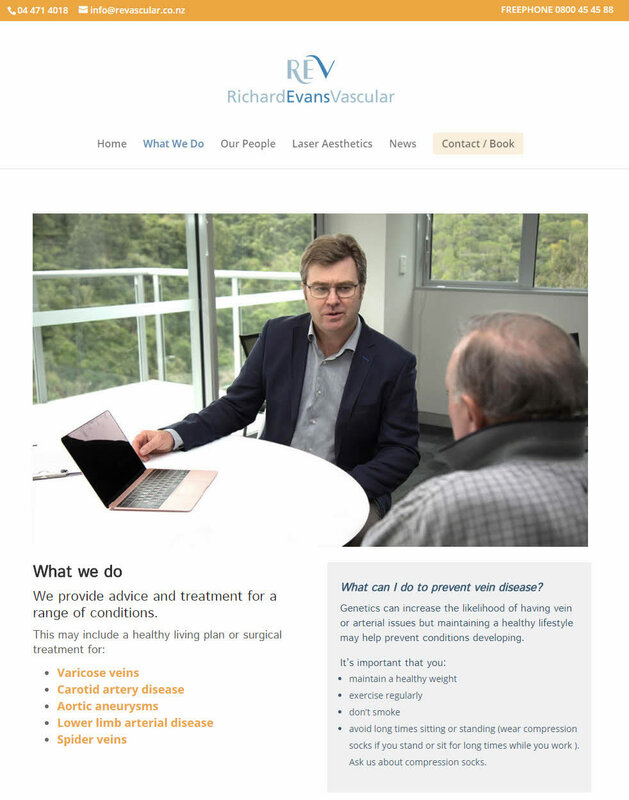 Richard is a Vascular Surgeon, specialising in arterial and vein conditions. He treats conditions such as aneurysms, arterial blockages and varicose veins, and is also a kidney transplant surgeon. 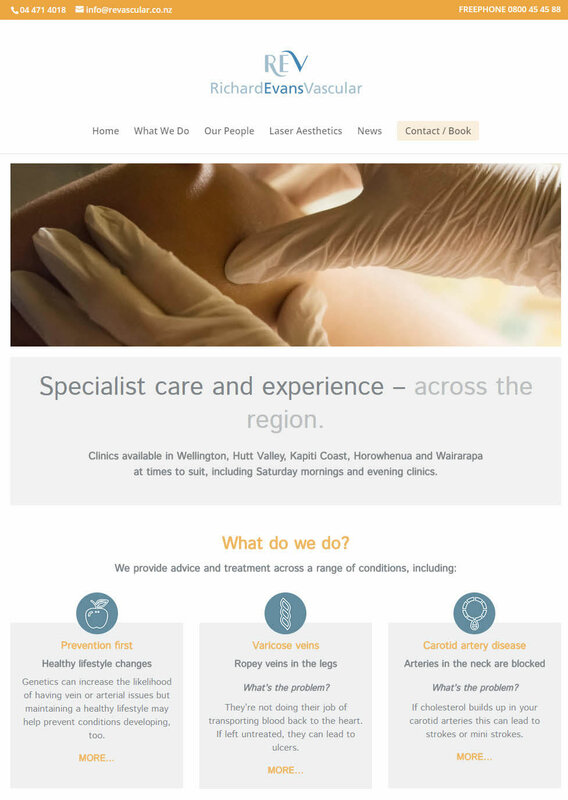 Richard has clinics available in Wellington, Hutt Valley, Kapiti Coast, Horowhenua and Wairarapa. With over 20 years of surgical experience, he is in private practice, as well as being Vascular Clinical Leader at Capital Coast District Health Board and an honorary Senior Lecturer at University of Otago Medical School. Richard has qualifications in vascular ultrasound scanning, which means your results are read and acted on quickly. This means you’re in the safe hands of an experienced Specialist receiving treatment at a time and location to suit. Nectarine built a light, airy sight with design hints to reflect the existing logo. 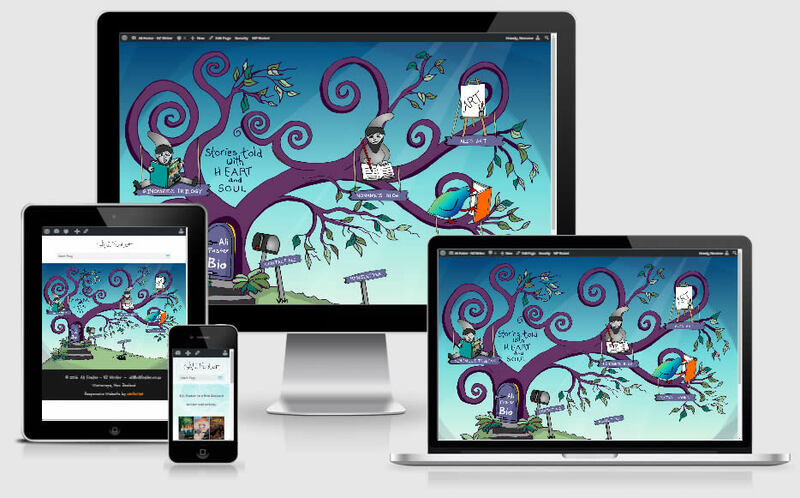 The website is responsive, search engine optimised and uses https for secure transfer.